It has taken me so long to write this review that I have actually been to this restaurant twice now. I could spin this to make it seem like I wanted to be really thorough and check out the place a second time to write a truly accurate review but, I’m not going to bother. I’m lazy and that’s the truth. Having been to ABC Cocina (read my musings here), solely because I couldn’t get an immediate reservation at ABC Kitchen, I was expecting better things from this establishment with no precise reason why. 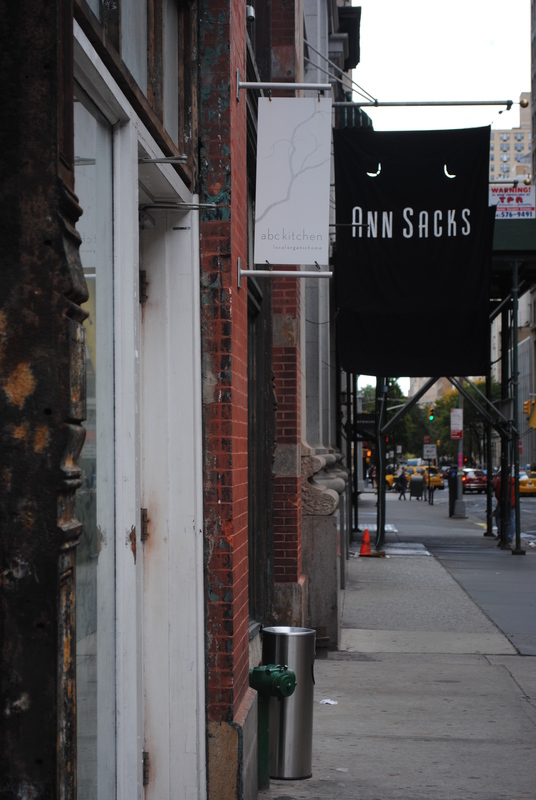 Its seeming exclusivity alone is intriguing — still 4 years after its opening it’s still a good place to see and be seen and has that air of something trendy about it. 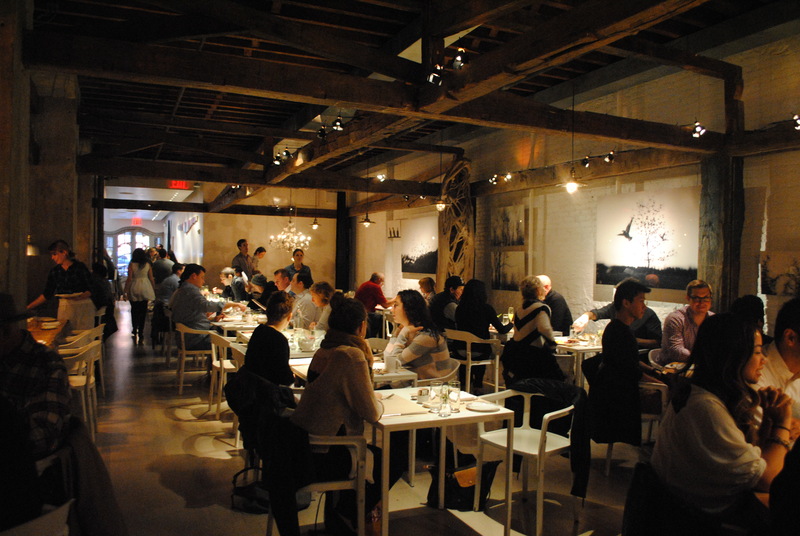 The restaurant is extremely large and spacious and the main dining room is, for lack of a better word, pretty. The dining room includes found, salvaged, reclaimed, and recycled building materials and even the flowers on each table are rumored to be picked from New Jersey. 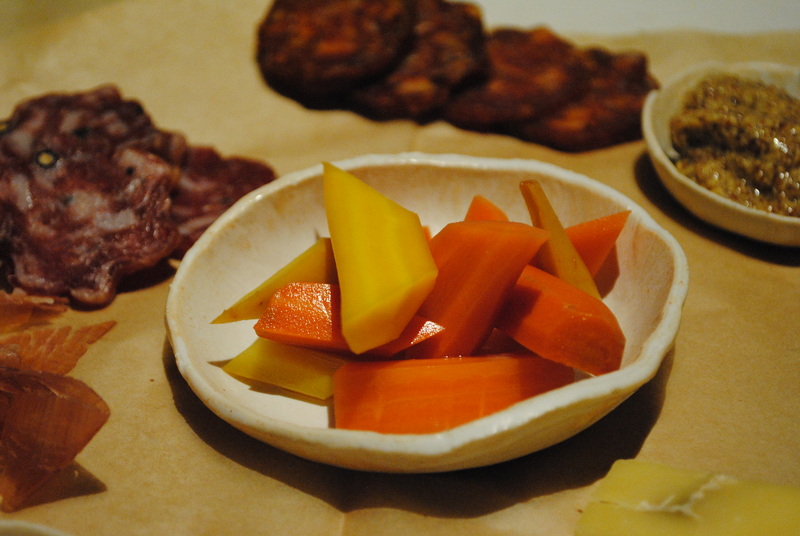 This goes along with the restaurant’s ethos of sourcing everything along the local/sustainable/seasonal/organic route. Having been there now for brunch and dinner I can say both times of day draw large crowds — the bar is perpetually packed, the hosts and hostesses constantly trying to shift people and keep things moving. There’s not a sense of frenzy about the place though, but rather a sense of importance and intent. 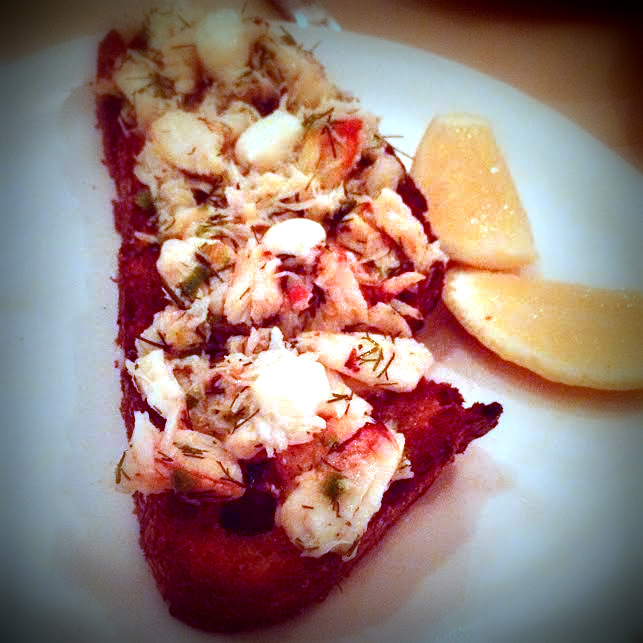 The crab toast is the clear “omg you have to try this dish” of the establishment so, whether you want to or not, you are forced to succumb to ordering it if for no other reason than to answer “yes, yes I did try the crab toast” to over-zealous ABC Kitchen fans to get them to pipe down. A hunk of toast slathered with crabmeat and lemon aioli, it’s decent but nothing earth-shattering (and for $16, it’s certainly no steal). But, have a go at making it yourself — Jean-Georges has been kind enough to supply the recipe to Bon Appetit. 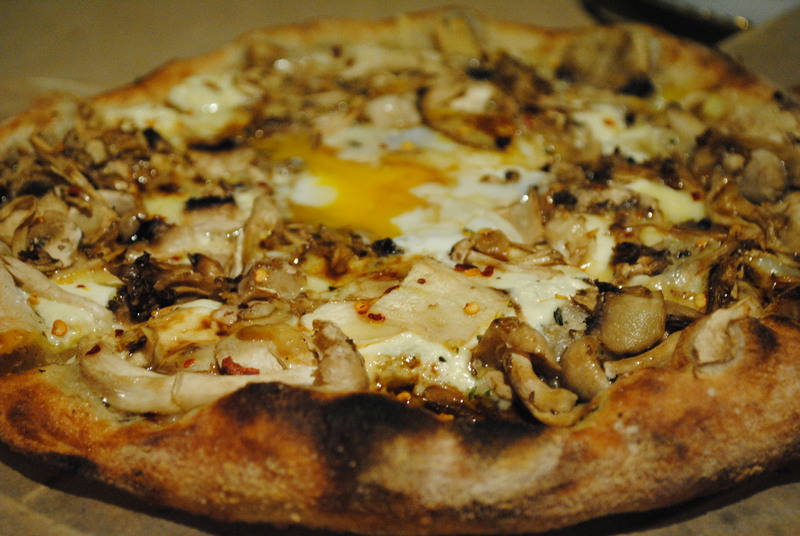 The highlight has to be the pizza with delicious morels, parmesan, oregano and a soft large-yolked egg ($18). It’s all the comfort of a rich carbonara — moreish and filling — but with tender morels to balance out all those heavy tastes. A welcome brunch item indeed. 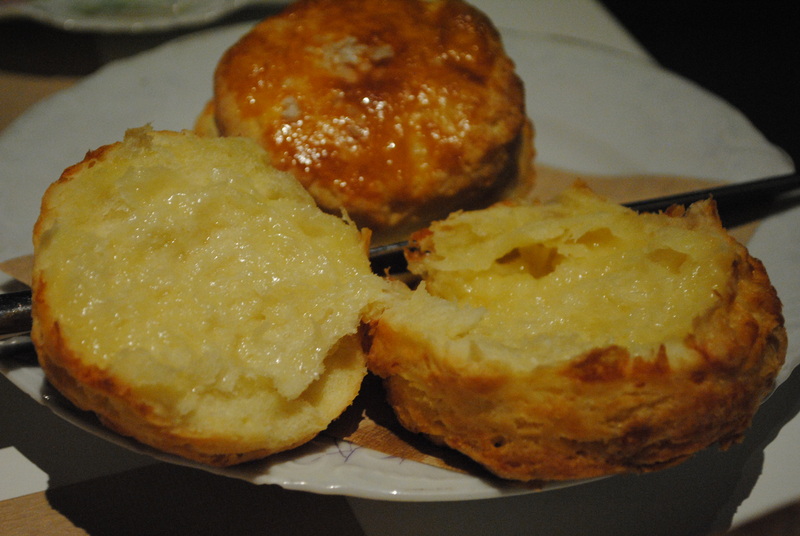 Speaking of heavy, the buttermilk and crawford cheddar biscuit ($9) is nothing short of an immediate food coma inducer — the rich, tangy flavor of the buttermilk is matched only by the decadent, hot cheddar inside of this fluffy heart-stopper. 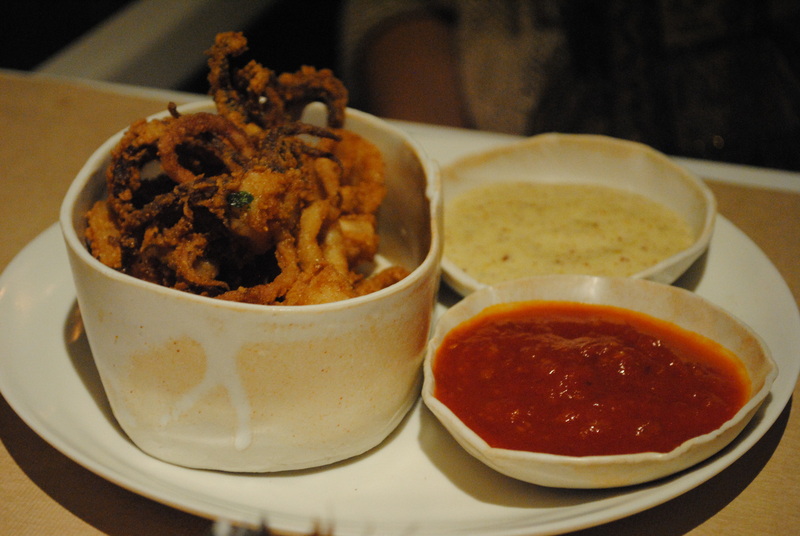 Other forms of brunch snackery included pretzel dusted calamari with marinara and mustard aioli ($16). And of course, no menu that’s worth its salt (do people still use that expression?) 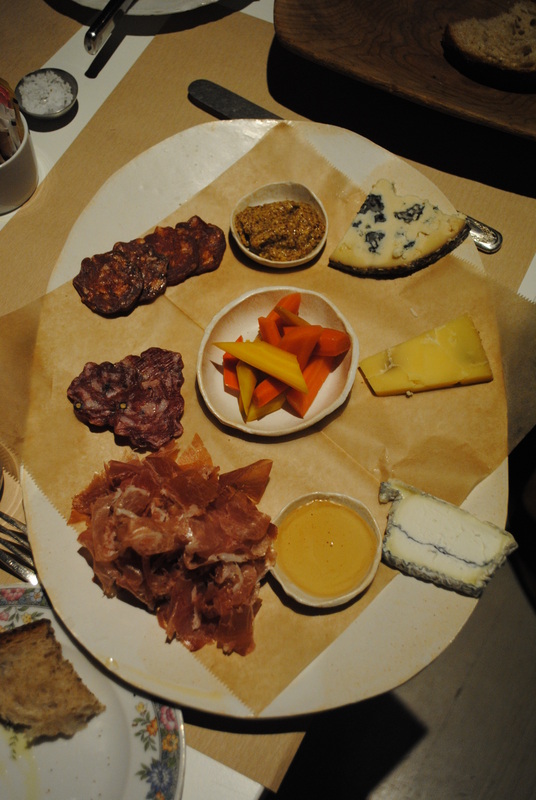 would be without a lovely cheese board (including Homboldt fog cheese) and a platter of cured meats on offer ($17). The answer to any locavore’s prayers, ABC Kitchen certainly does its bit to promote sustainability in an era where there is a demand for local, home-grown food products that haven’t been shipped from halfway around the world. Although, NY Magazine does claim that the prime beef is flown in from Texas. Gasp. 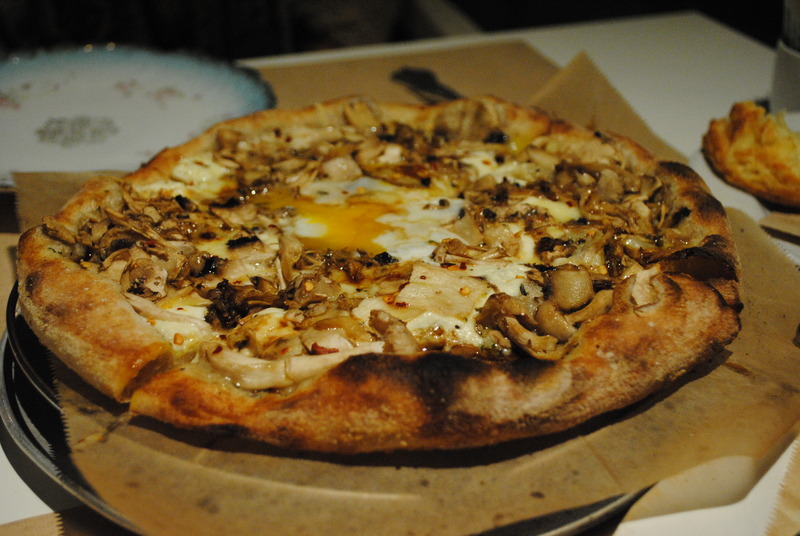 Despite mild pretentiousness, ABC Kitchen provides a pleasant enough experience for sure, with plenty of food options. It would be hypocritical to say it’s not worthy of a re-visit seeing as how I’ve been there twice in the past month but I wouldn’t rank it as one of my all-time favorites. Truthfully, It took me awhile to write this post because I couldn’t quite think of anything specific to say about the restaurant — and that, friends of the beast — says enough. Afterall, mediocrity is the food critic’s worst nightmare. 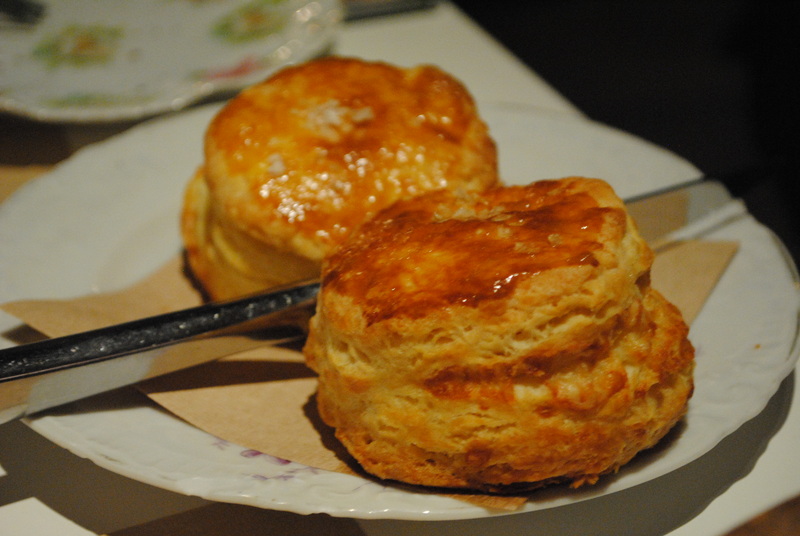 Posted in Restaurant Reviews - New YorkTagged ABC Kitchen, Biscuit, Brunch, calamari, charcuterie, cheese, crab toast, dining, dinner, featured, Jean-Georges Vongerichten, New York City, pizza, trendyBookmark the permalink. Fluffy heartstopper – love that!